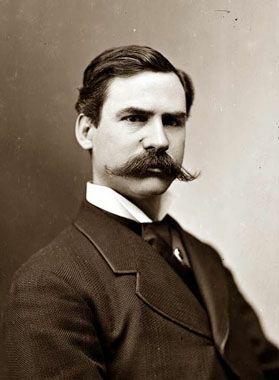 This Gunslinger is a very rugged and raw moustache style that charms many women. It a very beastly look with raw sexuality and grabs the limelight like no other! This style requires a nice full grown and thick stache that has been allowed to grow out naturally. You should use beard or moustache oil regularly for a strong and thick growth. Make sure the oil is natural and does not cause any damage to your moustache growth. This style requires a thick moustache so en with a thinner growth should avoid this style and opt for something like Handlebar moustache. It does not require much maintenance or styli8ng and is thus great for beginners who are not so precise with styling techniques and trimmers. You need to start off by growing out a nice thick moustache. Although this look appears absolutely shapeless and effortless, it does require a bit of styling. It is like an out of bed look which appears effortless but still has some efforts to achieve it. It is a very natural style which means that the shape is such that you natural growth direction is also the shape of this style. The only effort that you need to add in is by mildly pinching the ends such that they appear a bit narrow it not as much as the handlebar moustache. 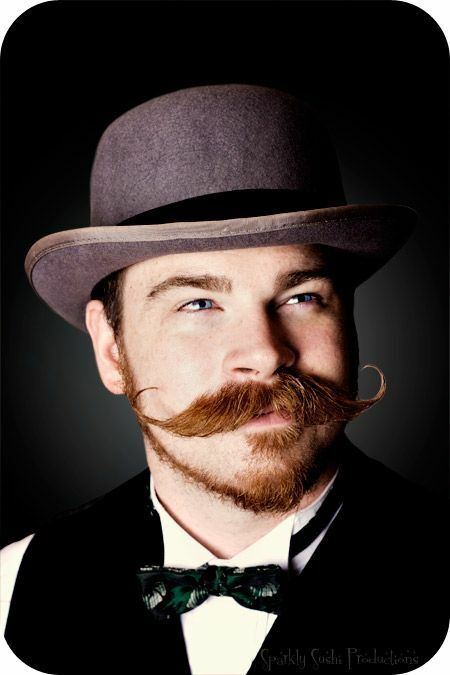 It should just be mildly wavy from the centre of the stache towards both ends. The ends are not as slim and sharp as a handlebar, more rounded but still narrow. The mid region is also mildly pinched or crimped but not too much. Thus, this is a rough style that is considered very casual and effortless. The Macho Gunslinger Moustache is great for a mature look with shirts and trousers. It goes well for all casual events but is not appreciated in formal events. Thus, although it is a mature look, it is casual. This look exerts a raw sexuality that women find very attractive. It grabs a lot of attention and makes you stand tall as well as confident. It is not necessarily a look for old men. It is a mature look meaning this look goes well with a mature dressing. This style goes great with Bandholz, Verdi, Van Dyke, Circle beard, Goatee. It is also great with a stubble or clean shave. This stache is very attractive and has its own separate personality. Thus you can carry this off very easily with just a light stubble. Men with strong jaw line and defined cheek bones should most definitely try this look. It is also great for bigger faces as it helps balance out your face structure. It is easy to maintain as all you require is regular trimming and hygiene. Beard oil should be applied regularly as the moustache is thick and should be well tamed. Thus it is equally important to wash the moustache clean at the end of every day. The comb used for final touches and scissors for trimming or getting rid of any rogue hair should also be kept clean at all times. This is a thick moustache that is rights around your upper lip, thus it is important that the beard/moustache oil you use is all natural. This style has always been in fashion and will continue to be so as it is charming and attractive. Also it is easy to grow and maintain. Although not acceptable in an office environment, the Macho Gunslinger Moustache style can be carried off by taming your moustache using beard wax all week and then carrying off a Gunslinger for the casual weekends. On weekdays you can style this moustache into imperial, handlebar or petite handlebar moustache. Macho Gunslinger Moustache is for men with rugged and strong moustache that will grab in a lot of female attention as well as set you apart from the others!